With the SL18XC1 air conditioner, you can experience the comfort you want in the middle of summer’s heat while relaxing in the peace and quiet. 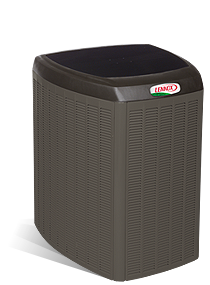 This air conditioner offers the highest energy efficiency of any single-stage air conditioner on the market today, with efficiency ratings of up to 18.50 SEER. When you enable its solar capabilities, you could experience even lower energy bills, too. Ready to find out how the SL18XC1 Air Conditioner can make your home more comfortable year round? Need help with a gas furnace repair or want to schedule a gas furnace maintenance visit? We can handle it all. Our staff is trained, experienced and ready to help. Make an appointment or call 740-594-8381 for Athens or 740-654-4328 for Lancaster now.